This bustier style mask is hand made. Bulk mask pack comes with 24 assorted color masks with white ribbon. 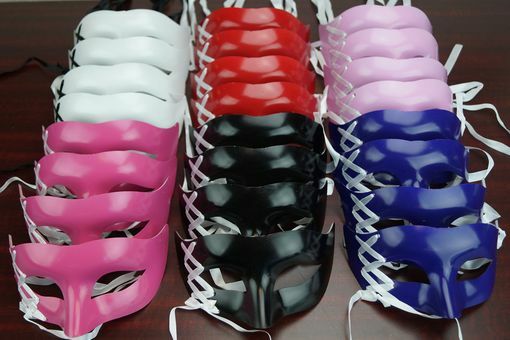 Mask color are pink, black, purple, hot pink, red, and white.